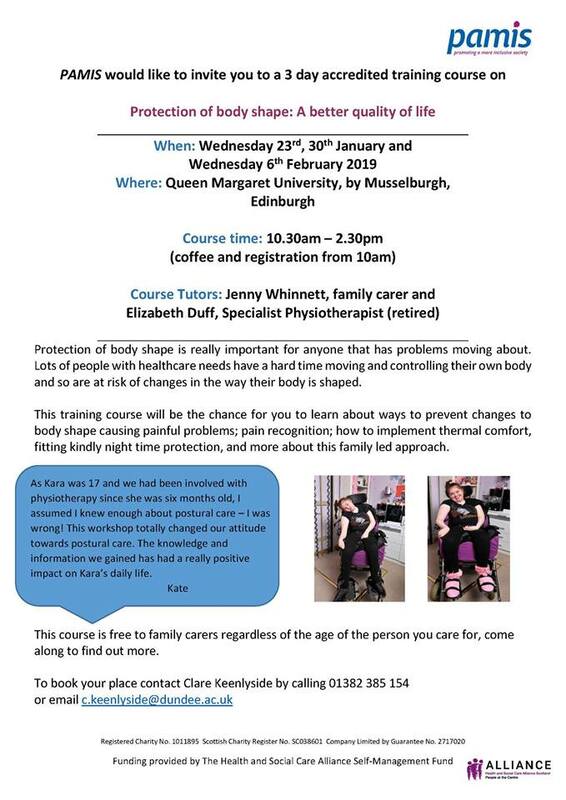 PAMIS received funding from The Alliance in October 2018 to roll out accredited Postural Care training to different areas in Scotland. The trainers received an extremely warm welcome in The Western Isles and are preparing to head to Queen Margaret University in Edinburgh next week. Other areas to receive training in the upcoming months will be Tayside, Forth Valley and Glasgow. Look out for the dates on our social media feed!